When I emailed Hugh Howey to ask for an interview, he was so nice that he went a bit further and offered The Down Deep an autographed UK hardback for us to give away! Yes, I admit to being completely jealous of one of you lucky readers. If you missed it, don’t miss our interview with him in which he talks about the Wool series and what inspired him. For the giveaway, we’ve got five possible entries for you. Best of luck! Giveaway ends 11/21/12. The Miami Herald talked with author Hugh Howey on self-publishing and how the practice has exploded recently with the success of several indie authors. This year, Howey found himself selling 50,000 of his stories a month, and he has been earning a six-figure income or close to it every 30 days, though he notes the business has its ups and downs with many lean times before finding success. Two months ago, director Ridley Scott optioned it for a movie, and Random House is publishing the hardcover edition in the United Kingdom next year. To read the full story, go to the Miami Herald. Warning: This interview contains WOOL spoilers! 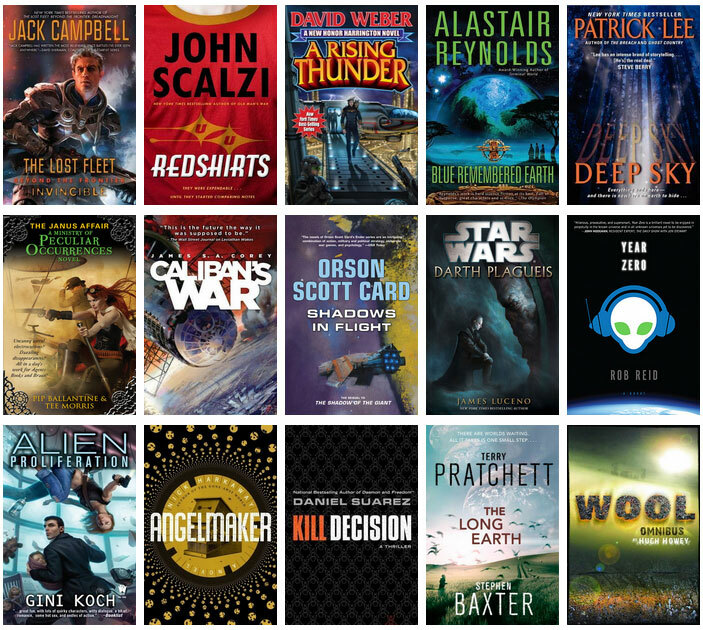 Last week, we sent in some interview questions to Hugh Howey and even though he was recently traveling, he got back to us with impressive speed! Read below for more on Second Shift’s release and some cool details on his past work. Thanks to Hugh for taking the time to answer our questions! You’re doing NaNoWriMo now on top of your regular writing. Do you participate every year and how many times have you succeeded? This is my fourth year in a row participating in NaNoWriMo. In 2009, I wrote HALF WAY HOME. I wrote THE HURRICANE in 2010. Last year, I wrote WOOLs 2, 3, and 4. So, I’ve been successful the past three years. This year has been the biggest challenge thus far. I’m completing one book (which will be released this week) while starting a new one. I’m just barely hanging in there! You posted that you just finished Second Shift. When can people expect to be able to pre-order and what is the release date? There won’t be any pre-order for SECOND SHIFT. It should go live on Amazon before Thanksgiving. I’m hoping to have it uploaded by the 17th. You’ve said previously that you didn’t believe in Wool at first. Which of your current works is your personal favorite book or story? I like them all for different reasons. My favorite might be SECOND SHIFT, which is a risky book but with themes that I really enjoyed exploring. Your detail in Wool 2 about knitting seemed almost as if it was written from experience. I’m guessing you don’t knit yourself (or do you? ), so how did you “research” into the mind of a knitter to write the start of Wool 2? I can knit, but I can’t purl! My mother and sister started a yarn shop in Charleston, SC called “Knit.” I’ve turned out a couple of scarves, but nothing fancier. Maybe when I get done writing, I’ll learn a few patterns. In Wool 2, you very subtly reference past sexual abuse with Mayor Jahns. Was there a reason you put this into the book? It just felt like part of her character to me. She has this resiliency, this drive to be a good person in a bad place. There’s also the desire to show that life in the silo is a lot like life in our world, which means children play and chase one another, and bad things happen as well. Did you look to anyone in particular for inspiration in creating Juliette’s personality? I have a lot of strong women in my life. My wife, sister, and mother are all inspirations. But my characters come just as much from all the other stories I’ve absorbed through my life. There are certain tropes we absorb, recombine, and regurgitate. She’s probably just as much Han Solo and Wookie as she is Ripley from ALIEN. 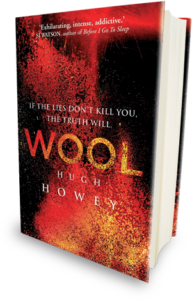 When you self-published in e-book form, did you ever think you’d see Wool in print? What went through your mind the first time you held the UK hardback published by Random House? Absolutely! I make physical versions of all my books. I paginate them with InDesign and use CreateSpace to print them. What I never expected was that I’d sell so many or hear that these books are being picked up by libraries and bookstores. And now with Random House in the UK, I’m able to hold a hardback version, which is very cool. Is there any specific significance to having the silos located in Atlanta? There is a little symbolism and a little logic. Atlanta is the home of the CDC, which adds an aura of mystery behind the cause of the world’s end. It’s also an urban setting that seems removed from the major US cities. I wanted it to feel a little random and unexpected. As in, you finally discover what city that is over the hill . . . and it’s Atlanta? You mentioned in your recent Ustream that you are working on a TV show. Can you share anything with us about that? I don’t think so. I’ll check! Basically, I’m helping set up the world for a new TV show. It’s been pretty exciting so far. Where did the idea for Wool come from? Did it start with a character or line of dialogue, a specific image, or just a vague premise for the story? It started with the idea of the wallscreen. I wanted to explore the fact that our view of the world is distorted, because we get it through a filter. We watch 24-hour news and think we’re getting a clear view of reality. WOOL asks whether the world outside might be better than that. You talk about children’s books several times throughout Wool. Were any of the books you mentioned modeled after ones you enjoyed as a child? Possibly GO, DOGS, GO! My favorite books as a child were HAROLD’S PURPLE CRAYON and everything by SEUSS. The idea was that children’s books might survive because nobody would expect to take them seriously, anyway. But there would be shades of the truth in their zany stories. When you wrote the character Solo, you could easily have made him a serious threat to Juliette, instead of you made him in an endearing ally for her. What made you write him this way? Oh, I thought Juliette had been through enough at that point! And I liked to think of her bringing help to another. It was also unexpected, which is always an aim of mine. I like for plot points to be both logical and unexpected, which is a challenge. Back in March you posted some casting suggestions should Wool end up making it into production. Now, eight months later, do you still stand by that fantasy casting or have your picks changed at all? These days, I lean more toward having unrecognizable actors play the various roles. I get pulled out of movies sometimes when the star is bigger than the role, or when I feel like I know that actor, and therefore they couldn’t possibly be living underground hundreds of years from now. There’s also something appealing about giving fresh actors a new start. That’s what readers did for me! You picked Evangeline Lily as your Juliette. Are you by any chance a LOST fan and if so, what was your take on the ending? I loved the first season of LOST. I saw a handful of episodes after that, but I never saw the ending. My favorite way to watch TV is to wait until it’s all out and then watch the entire seasons all at once. I just haven’t felt the urge to do that with LOST yet. 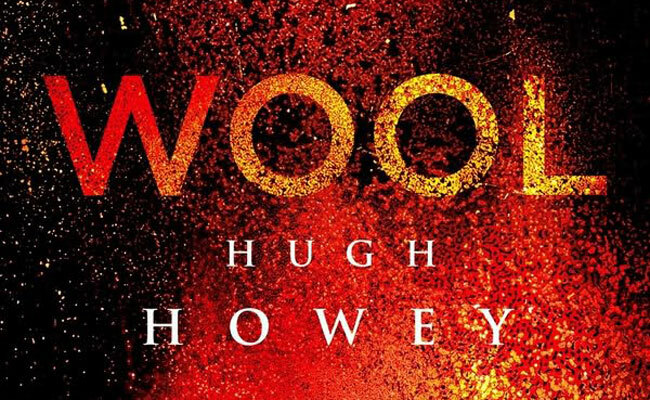 You have four more books planned for the Wool series. What made you want to stop there? I see the story playing out in three acts. Act I is WOOL. Act II will be SHIFT. The final act will be called DUST (I think). There are so many other stories I want to write that I don’t want to get stuck just cranking out an endless stream. That’s one of the reasons I took a step back with SHIFT and did a prequel. WOOL has such a nice ending. I want it to stand on its own. Do you have plans to write from the Molly Fyde universe again? Yes! 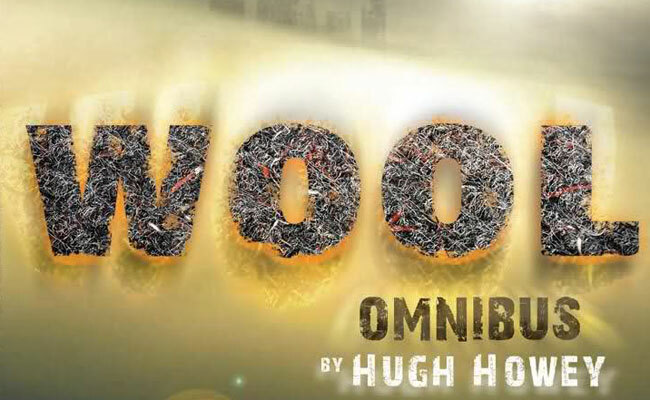 I was about 95% done with the fifth Molly book when WOOL took off, and I started writing the rest of the Omnibus. I took a break this year to write I, ZOMBIE and a short story, but as soon as I wrap up the WOOL series, I’m going to finish that Molly book. It’s a great story. I can’t wait to get back to it. Hugh has also generously offered us the chance to give away one of his UK hardbacks, so keep watch for that this week!